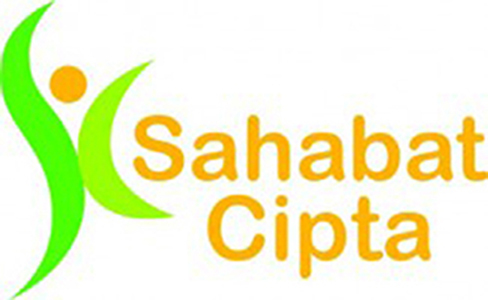 SAHABAT CIPTA (SC) is an Indonesian organization founded in 2007 by professionals in development with a vision of reduced poverty in Indonesia.. Its mission is to empower communities with new skills and opportunities so they become self-reliant. SC focuses on provision of project management, strategic advice and training in the field of local economic development, community livelihood improvement, value chain development, small business development, rural skills development, micro-finance, and environmental management. SC adopts sustainable market development approach in promoting pro-poor growth that will lead to reduced poverty and improved environmental conditions. SC is currently implementing the “Smoke Free Jakarta” project which aims to protect people from the danger of tobacco use and strengthening tobacco control programs in Jakarta, Indonesia contributing to reductions in tobacco use. The project will assist Jakarta government to establish tobacco control structure and programs as an integral part of the regional development plan with sustainable funding mechanisms. Collaboration and partnership with both the government especially with development agencies, and tobacco control network will continue to be strengthened to ensure achievement of objectives. Responsible for planning and execution of the project activities. Maintain communication and relationship with stakeholders including government, NGOs, academia, mass media, etc. to mobilize support and promote key messages. Build partnership with stakeholders to integrate communication activities. Work together with the team to support project implementation. Monthly and quarterly project reporting. Responsible to conduct quarterly monitoring including hiring enumerator, supervise and quality control data under PM supervision. Managing monthly and quarterly smoke free compliance data and present it as per project required. Provide supporting services to agencies related to capacity building in inspection and enforcement. Responsible to prepare compliance inspection data to be disseminated to the stakeholders. Responsible in handling communication through Smoke Free Jakarta social media account and mobile reporting system. Prepare detailed communication plan including achievement indicators consistent with work plan that has been approved and propose activity plan to PM for approval. Maintain time recording according to Sahabat Cipta guidelines. Maintain expense recording for the activities conducted according to Sahabat Cipta accounting standards and project manual. The monitoring and communication coordinator will report to the PM in all matters. She/he will execute this assignment based on specific guidelines, including operational procedures, templates, and deadlines of the project. Holding a diploma or undergraduate degree or equivalent in the field of social development, public health, economics, law, or science. A minimum of 5 (five) years work experience in planning and execution of the project activities. Excellent written and verbal communication skills, both in English and Bahasa Indonesia. Experience of working and dealing with government bodies and agencies. Send your CV along with a cover letter to recruitment.sc@ sahabatcipta.or.id at the latest by Wednesday, 28th February 2018.